The Endura Style UpDown LED wall light by Osram is an outdoor lighting, which is particularly suitable for the entrance, balcony and terrace area of ​​the house. Thanks to its simple, elegant design, the outdoor lamp adapts to a wide variety of facades and acts as a timeless and functional light source. 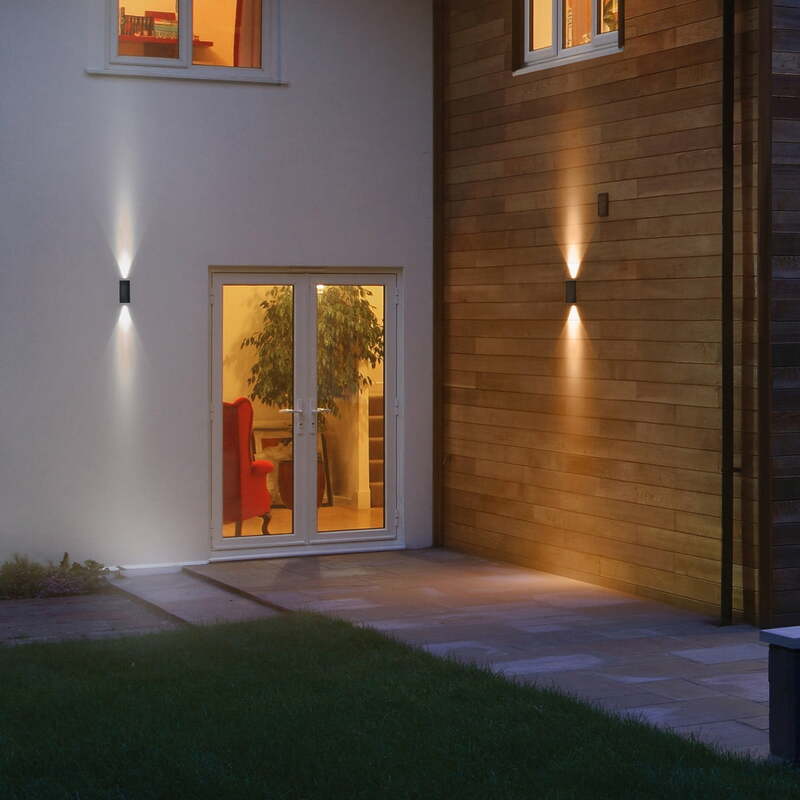 As its name suggests, the Endura Style UpDown emits light upwards and downwards, creating a great light effect on the house. The warm white light (3000 K) ensures a comfortable and welcoming atmosphere that offers every home a beautiful glow. While the casing is made from aluminium, the diffuser consists of matt polycarbonate and clear glass. The well-sealed outdoor lamp with protection type IP44 is splash-proof. 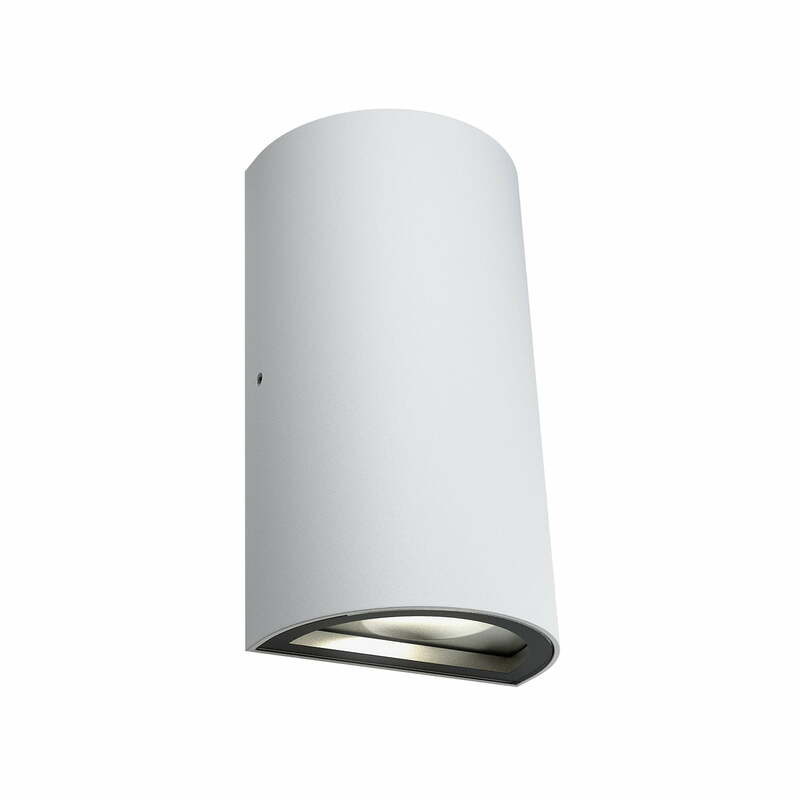 The Endura Style UpDown LED wall lamp is available in the colours white and grey. 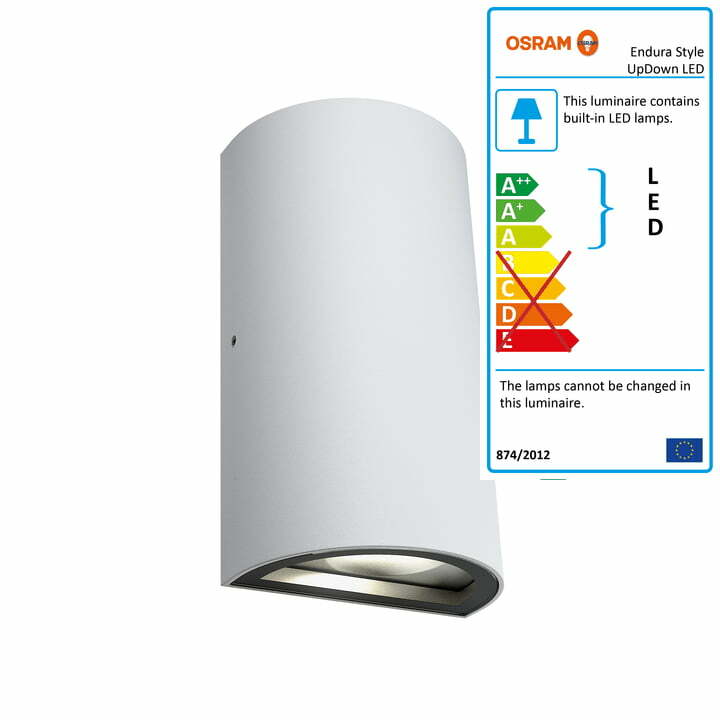 Endura Style UpDown LED Wall Lamp Outdoor, IP 44/ warm white 3000K by Osram in white: While the casing is made from aluminium, the diffuser consists of matt polycarbonate and clear glass. 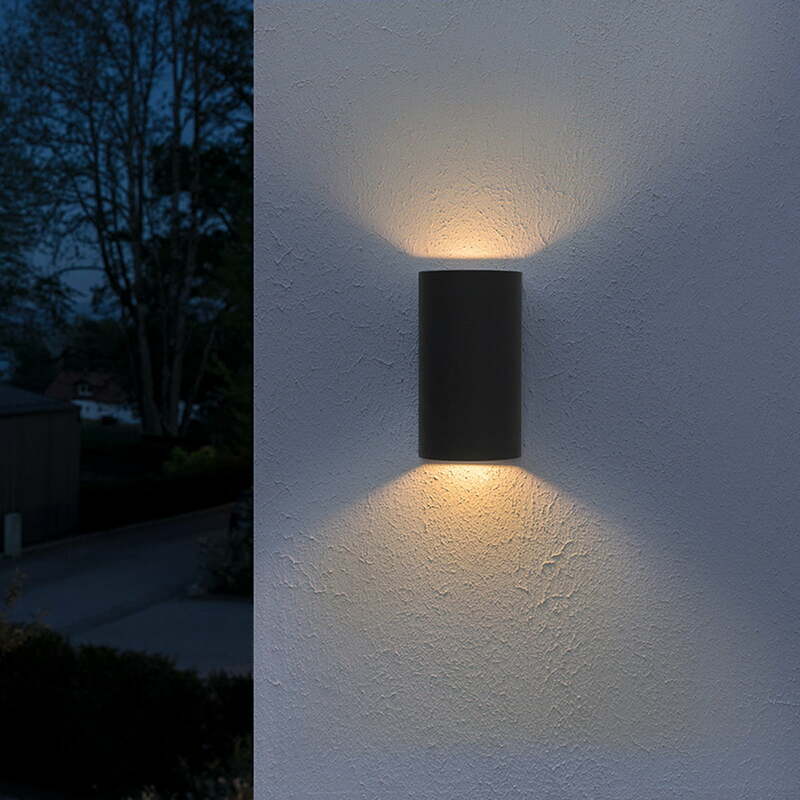 Lifestyle product image: The Endura Style UpDown LED wall lamp by Osram is outdoor lighting especially suitable for the entrance, balcony and patio of the house. 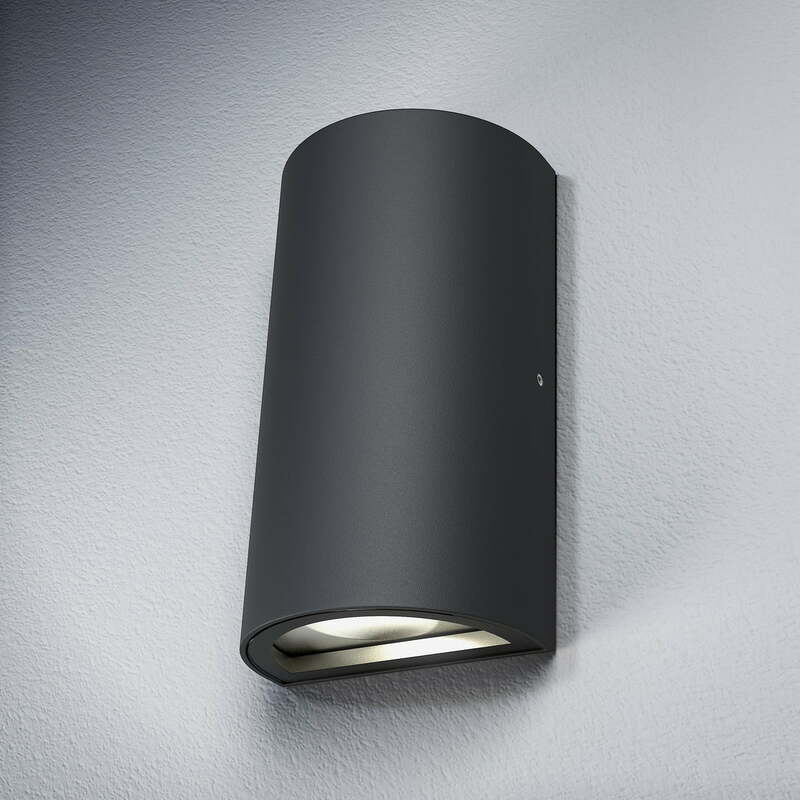 Lifestyle product image: With its simple, elegant design, the outdoor lamp adapts to a wide variety of facades and acts as a timeless and functional light source. Lifestyle product image: As its name suggests, the Endura Style UpDown emits light upwards and downwards, creating a great a great effect on the house.